With three arches and four turret-style viewing platforms at the top, Duck Brook Bridge is the tallest and arguably the most grandiose and ornate carriage-road bridge, towering over New Mills Meadow Pond and Duck Brook beneath it. Completed in 1929, it was also the most expensive Rockefeller bridge to construct. The view from the top of the bridge is majestic with stairs providing access to the brook below. 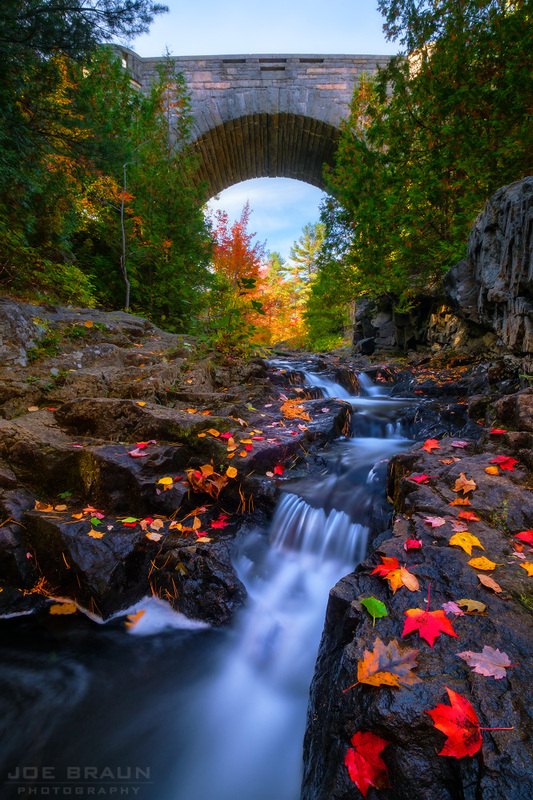 This is a carriage-road bridge to experience! 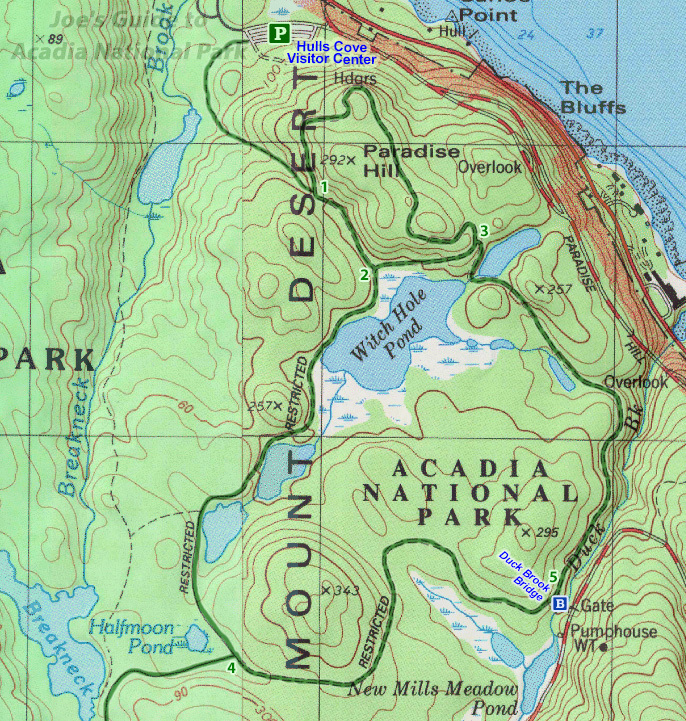 To navigate the trails and carriage roads of Acadia and find the classic stone bridges, get a copy of the wonderful Map Adventures Acadia National Park Trail Map! 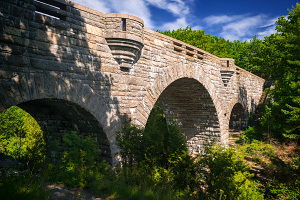 And for more in depth information on the construction and history of the bridges, please see Robert Thayer's Acadia's Carriage Roads book.